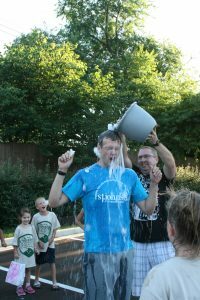 DCE, Michael Hartley, has an ice bucket dumped on his head at VBS 2018. Our Director of Christian Education is Michael Hartley. Michael studied at Concordia University Irvine in southern CA where he majored in Christian Education Leadership. He did his internship and received his first call at St. Paul’s Lutheran in Kingsville, MD. Michael accepted the call to serve at St. John’s in March of 2015. Michael is responsible for all Youth Ministry at St. John’s. Want to get in touch with Michael?